Available 24/7 for gate maintenance service! Superb work! For your most common gate concerns, you can find practical solutions and tips for gate repair here. Is it time to reinforce security around the gate? Learn how! Read about the practicality of keypads and learn little secrets. The vast majority of gates are accessed either by a keypad or a card that one swipes. Depending on what you use the gate for, your needs may align more closely with one or the other. 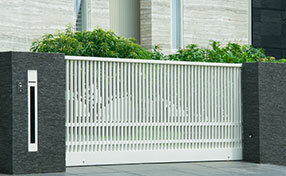 A card swipe system is best for gates that service a large number of people. The greater the number of people who know the key code, the greater the chance someone undesirable will discover the code. Should my gate system include lighting? 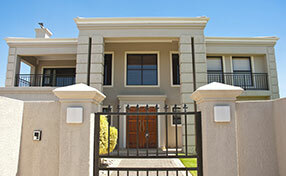 Many modern gate systems include lighting, both round-the-clock and timer/switch activated. Lighting can be a great feature if security is a big concern. Experts at Gate Repair Oceanside recommend that lighting installation be done by a professional, as it must be installed and integrated into the existing gate system. This can be as simple as rigging them to turn on when the gate opens or closes, or there can be more complicated arrangements. Always check if there is corrosion around the terminals and ideally all batteries should be replaced every five years. Although your gate will work fine, it may not sustain for too long in case of a power failure as the charge will be insufficient. Always keep an eye on the battery and change when required. Whether you want to replace the current gate or you're planning new gate installation, avoid doing the task alone. Apart from the fact that this electric system is rather complex and the wrong wire connection or track installation could lead to accidents, the gate weighs a lot and you might get injured. In general, an inexpensive gate with an automatic opener system is associated with higher maintenance in comparison to a slightly more expensive but a high quality option. 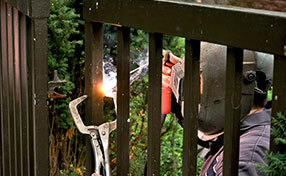 That is why specialists in gate repair in Oceanside or anywhere else suggest choosing quality over lower price. The lower maintenance service cost or eventual expenses for gate repair service will compensate for the slightly higher price.